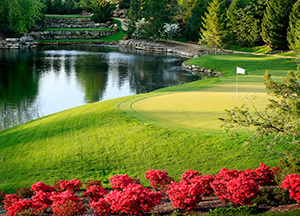 Golf, fishing, barbecue and a good drink are the hallmarks of a great guys’ getaway. Fortunately, Branson offers all four in what just happens to be one of the most beautiful areas of the country. successful fishing trip courtesy of someone with local knowledge, connect with area guides and fishing services. After a day on the links or out on the water, treat yourself by unwinding with a good drink. 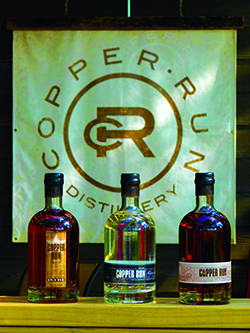 For a real flavor of the Missouri Ozarks, be sure to visit Copper Run Distillery, the first legal moonshine makers in the region (it’s about 10 minutes north of Branson in Walnut Shade). On-site, tour the distillery operations and belly up to the bar for a shot of 80 proof or 120 proof moonshine; they also make whiskey and rum. Designate a driver and enjoy large individual samples of all three drinks for $5 each, or try smaller samples on a three-drink flight for $5. Next, get your belly full at one of Branson’s fabulous barbecue restaurants. Savor slow-cooked ribs at Doc’s Hickory Roadhouse, enjoy a pulled-pork sandwich and a great burger at Danna’s Bar-B-Q & Burger Shop, or take in views of Lake Taneycomo while dining at Famous Dave’s, also noted for ribs, on the Branson Landing. Once you’re worn out from golf, fishing and enjoying local flavors, head back to your base of operations (that’s guy code for “a place to stay”) for a solid night’s sleep. There are dozens of resorts in Branson ready to meet your group’s needs and to get you ready for another day of fun with the guys. While these ideas help lay the foundation for your adventure, they represent a sampling of all there is to see and do in Branson.